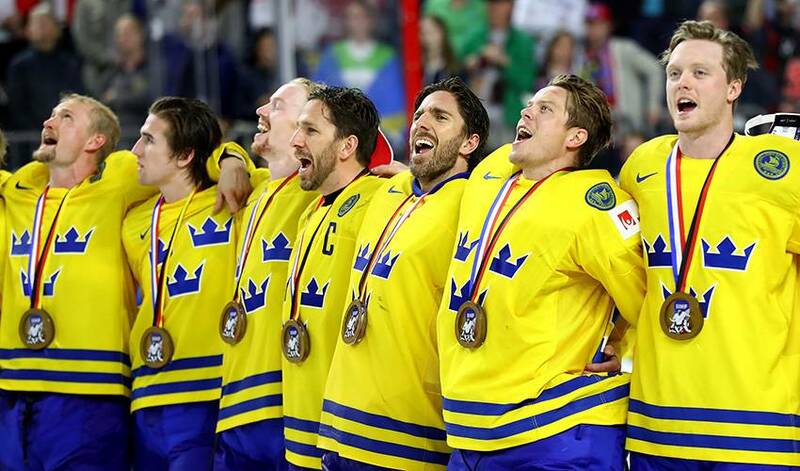 PYEONGCHANG, South Korea – It has been a dozen years since a Lundqvist won an Olympic hockey gold medal, but the younger of the Swedish twins Henrik and Joel hopes to end the drought. 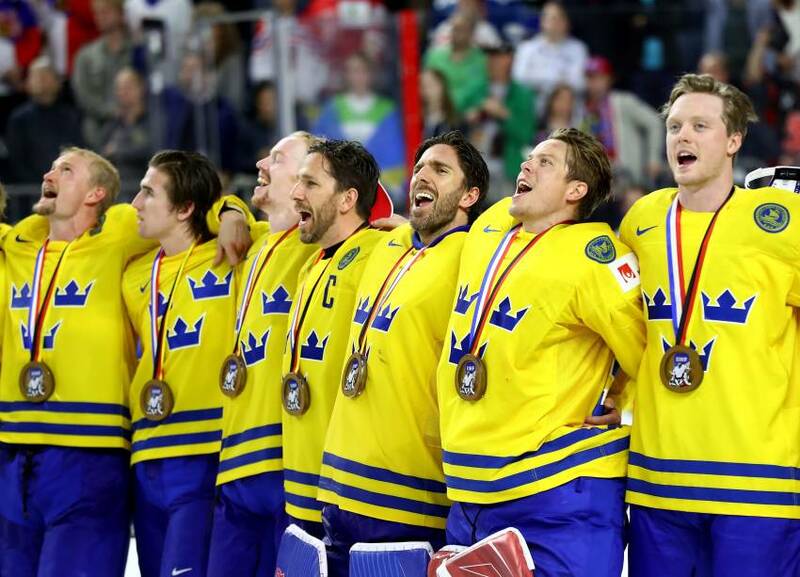 Joel Lundqvist was born 40 minutes after his brother Henrik, the veteran goaltender of the New York Rangers who backstopped Sweden to gold at Torino 2006 and medalled for silver at Sochi 2014. Joel never thought he’d have the chance to wear Sweden’s Olympic jersey before he calls it a career in the not-too-distant future. But when the call came in January to slip the distinctive Tre Kronor jersey over his broad shoulders, a lifelong dream had become reality. "It's going to be incredibly fun. I've played a lot in the national team but never made it to the Olympics. It’s the finest thing you can do as an athlete. “He's [Henrik] got one Olympic gold so I'll have to chase him there. We don’t count the medals in the family. It's just nice that one of us is there." The identical twins started playing ice hockey at age four on a frozen sandpit in their hometown of Are. Joel fired pucks at Henrik, who grew up to become one of the world’s best goaltenders, with more than 400 NHL victories to his name. Henrik is as a sure-fire first ballot Hall of Fame goalie. When it came time for the NHL draft, it was Joel who went higher in the lottery – to Dallas in the third round – than Henrik, who was chosen four rounds later by the Rangers. Joel played three seasons in Dallas before he returned home, while Henrik became King Henrik, the rock-solid netminder on Broadway. The twins are close and are in constant contact. “We text and he wants to know what is going on,’’ said Joel. Like most, if not all, of the players here at the Olympic Winter Games, Joel thought there was no way the NHL would pass on Olympic participation. He thought a last-minute deal would surface and he would be home in Sweden cheering on is brother rather than reading rosters of teams from Slovenia, South Korea and others. He said Henrik would give anything to be with his brother on the Olympic stage. Like many Swedes of his generation, Joel’s first memories of Olympic hockey came at the Lillehammer 1994. Ironically that was the last time when NHL players did not compete for Olympic gold and the tournament produced one of the greatest moments in Swedish hockey history – when Peter Forsberg scored the golden goal in a shootout victory over Canada. The Lundqvist twins were smitten with Olympic hockey at that moment. “It was definitely one of the strongest memories from my childhood, the final and the gold,” Joel said. "I've been carrying that with me through my career." Joel revived that memory last year as he captained Sweden to a penalty win over Canada in the world championship final, with Henrik stopping every shot in the shootout. It was the third world championship victory for face-off specialist Joel. And should Sweden win the ultimate prize, the Swedes can expect to be greeted by the masses when they land back in Stockholm.